Following the suggestions of Tyler Cowen, I went to Singapore. It's just like people say: clean, rich, multicultural, efficient and with great street food. Here's an ad that shows the main concerns of the locals. Kid's grades seem to be the main issue. I've never seen anything like this in Brazil. Pereira, Nadalin, Monasterio & Albuquerque "Urban Centrality: a simple index"
This study introduces a new measure of urban centrality. The proposed urban centrality index (UCI) constitutes an extension to the spatial separation index. Urban structure should be more accurately analyzed when considering a centrality scale (varying from extreme monocentricity to extreme polycentricity) than when considering a binary variable (monocentric or polycentric). The proposed index controls for differences in size and shape of the geographic areas for which data are available, and can be calculated using different variables such as employment and population densities, or trip generation rates. The properties of the index are illustrated with simulated artificial data sets and are compared with other similar measures proposed in the existing literature. The index is then applied to the urban structure of four metropolitan areas: Pittsburgh and Los Angeles in the United States; São Paulo, Brazil; and Paris, France. The index is compared with other traditional spatial agglomeration measures, such as global and local Moran's I, and density gradient estimations. ... for some strange reason they go well together. A great slide show of Niemeyer and his works. - Drunkeynesian is probably the best Economics blog in Portuguese. But its author wrote in English for the Global Economic Symposium. PS: Check JP Morgan's Brazil Country Handbook for an overview of current issues. I am teaching a course at UCB on the use of microeconometric tools (RCT, IV, Dif-in-Difs, PSM...) on regional policy evaluation. The textbooks are Introduction to Econometrics (Stock & Watson) and "Mostly Harmless Econometrics" (Angrist & Pischke). ANGRIST, J.; PISCHKE, J. S. The Credibility Revolution in Empirical Economics: How Better Research Design Is Taking the Con out of Econometrics. Journal of Economic Perspectives, v. 24, n. 2, p. 3–30, 2010. BURSZTYN, L.; COFFMAN, L. C. The Schooling Decision: Family Preferences, Intergenerational Conflict, and Moral Hazard in the Brazilian Favelas. Journal of Political Economy, v. 120, n. 3, p. 359 - 397, 2012. (Não é regional, mas é muito bom mesmo e eu precisava de um texto de randomized control trial). BUSILLO, F.; MUCCIGROSSO, T.; PELLEGRINI, G.; TAROLA, O.; TERRIBILE, F. Measuring the effects of European regional policy on economic growth: a regression discontinuity approach. . [S.l. ]: Working Paper. Disponível em: . Acesso em: 16 ago. 2012. , 2010. CRISCUOLO, C.; MARTIN, R.; OVERMAN, H.; REENEN, J. VAN. The causal effects of an industrial policy. . [S.l. ]: National Bureau of Economic Research. Disponível em: . Acesso em: 21 ago. 2012. , 2012. FALCK, O.; FRITSCH, M.; HEBLICH, S. Bohemians, human capital, and regional economic growth. [S.l. ]: CESifo, Center for Economic Studies; Ifo Institute for economic research, 2009. FALCK, O.; HEBLICH, S.; KIPAR, S. Local industrial policies difference-in-differences evidence from a cluster-oriented policy. 36th annual conference of EARIE (European association for research in industrial economics) in Ljubljana, Slovenia, in September. Anais... [S.l: s.n.]. Disponível em: . Acesso em: 16 ago. 2012. , 2009. NUNN, N. The Long-Term Effects of Africa’s Slave Trades. Quarterly Journal of Economics, v. 123, n. 1, p. 139–176, 2008. RESENDE, G. M. Measuring Micro- and Macro-Impacts of Regional Development Policies: The Case of the Northeast Regional Fund (FNE) Industrial Loans in Brazil, 2000–2006. Regional Studies, n. Forthcoming, p. 1-19, 2012. BTW, Inforegio, an European Union website, has a very good introduction on counterfactual evaluation of regional policies. It says: take good care of your "red dot"
It says "Everyone is born with one *beep*. Take good care of yours. I take care of mine." . The Baining—one of the indigenous cultural groups of Papua New Guinea—have the reputation, at least among some researchers, of being the dullest culture on earth. Early in his career, in the 1920s, the famous British anthropologist Gregory Bateson spent 14 months among them, until he finally left in frustration. He called them “unstudiable,” because of their reluctance to say anything interesting about their lives and their failure to exhibit much activity beyond the mundane routines of daily work, and he later wrote that they lived “a drab and colorless existence.” Forty years later, Jeremy Pool, a graduate student in anthropology, spent more than a year living among them in the attempt to develop a doctoral dissertation. He too found almost nothing interesting to say about the Baining, and the experience caused him to leave anthropology and go into computer science. HT Pedro Souza! (Truth to be told, later on anthropologist have realized that they are not really that dull). A new Transparency Bill has put personal monthly salaries of all Executive civil servants available on-line. It is also possible to download a huge csv file. Judiciary and Legislative have not yet released info on their civil servants. Check Blog do Girino (in Portuguese) for a exploratory analysis of the data. The reports of my death are greatly exaggerated. I am back and I will do my best to keep a regular flow of posts. The pension system is insane: here (pdf) and here (pdf in Portuguese) and there are no signs of major changes. Angélica Grill, a all-you-can-eat barbecue buffet (rodízio) in São Paulo, offers a 50% discount for people that went through bariatric surgery. In Portuguese: In English (Google Translation of the page). My take on New York Times "36 hours in Brasilia"
There is little overlap between my "Brasilia for Tourists" post and the NYT recommendations. My comments are in blue. Start in the heart of the “Pilot Plan,” the original planned city, where three Niemeyer-designed buildings house the three branches of Brazilian government around Praça dos Três Poderes (Three Powers Square). They’re all classic, curvy Niemeyer: the Planalto Palace, where Brazil’s first female president works; the Federal Supreme Court; and towering over both, two sky-scraping office towers and the accompanying convex and concave domes where the National Congress sits. Stroll up the esplanade past the pale green ministry buildings to one of the most recent works by Niemeyer (who is still at it at age 103): the 2006 Honestino Guimarães National Museum (SCS, Lote 2; 55-61-3325-5220) where you can see the work of contemporary artists from around the world. The sunset in Brasília is beautiful from just about anywhere, but the best place of all to catch it is at the Ermida Dom Bosco (QI 29, Lago Sul), a Niemeyer-designed shrine across the artificial Lake Paranoá from the Pilot Plan. The lookout attracts a daily crowd that melts away once the sun is gone. Don’t follow the masses: stick it out with the stray couples (and coconut water vendors) and catch the stunning oranges and reds and lavenders that fill the sky about 20 minutes later. The most popular evening activity for all local residents is to eat, drink and talk at the hyper-social bars that serve young and old, straight and gay, beer-lovers and caipirinha aficionados alike. Perhaps the most traditional of all the watering holes is 55-year-old Beirute (CLS 109, Bloco A; 55-61-3244-1717), seamlessly mixing the older regulars with a young gay crowd; the food, as you might expect, runs Middle Eastern, including the football-shaped minced-meat and bulgur snacks known in Portuguese as kibes (from 3.50 reais, or $2 at 1.7 reais to the dollar). Two other favorites are Libanus (CLS 206, Bloco C, Loja 36; 55-61-3244-9795), younger and a bit more raucous, and Boteco (CLS 406, Bloco D, Loja 35; 55-61-3443-4344), a spirited Rio de Janeiro-style bar erected, in classic Brasília juxtaposition, across the parking lot from a supermarket. Waiters bring around trays bearing snacks to choose from; the most famous is the coxinha de camarão (7.90 reais), a shrimp version of Brazil’s staple bar snack, chicken croquettes. Well, I hate the food at Beirute. Libanus is just ok. Boteco is not really a "Rio-style bar". In Rio, traditional botecos (with small "b") are much simpler and popular places that play a similar social role of British pubs. Cairipinhas at Brasília's Boteco are remarkably well done and not expensive at all. BTW, my favorite botecos in Brasilia are Piauí (403 Sul, bloco B - loja 20) for drinking/atmosphere and Amigão (food). The latter was Tyler Cowen's favorite! But these places are not for everyone: English is not spoken and the toilets are quite dirty. “Soupie” is how the Brazilians pronounce SUP, the abbreviation for stand-up paddle surfing, a sport involving you, a surfboard and a paddle. 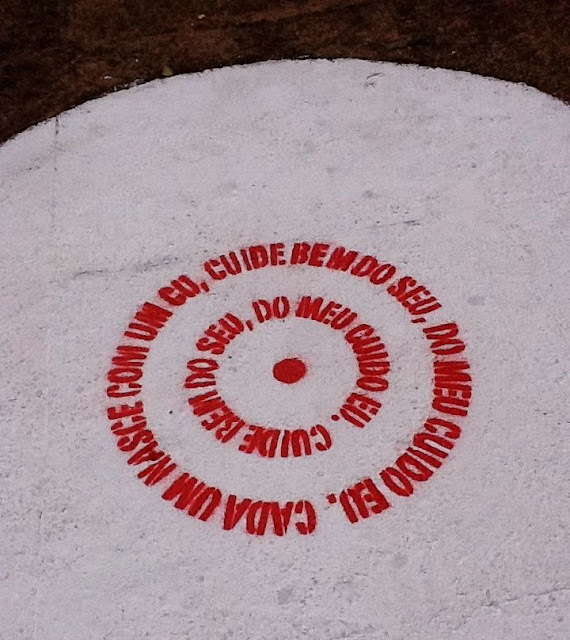 And you’ll need to pronounce it the way they do if you want the staff member at the gate of the Clube Naval (SCES, Trecho 2, Conjunto 13) to let you through to the lakeside base of Clube do Vento (55-61-8124-8596; clubedovento.com). For a mere 25 reais, you’ll soon be paddling out into Lake Paranoá toward the stunning Juscelino Kubitschek Bridge with its three criss-crossing arches, which opened in 2002 and immediately became a city landmark. Just about every Brazilian city outside the northeast has a healthy number of migrants from that cuisine-rich and financially poor region, but only Brasília has a branch of the northeast-based Mangai (SCE Sul; 55-61-3224-3079; mangai.com.br), a palace of regional cuisine where diners pick and choose from a buffet of 80 or so main dishes (heavy on the pork and squash and manioc) and 40 or so desserts. Payment is by weight (46.90 reais per kilogram), a typical Brazilian restaurant scheme; about 35 reais will get you a full plate, a dessert and a fresh fruit juice. Also included: hammocks on the porch overlooking Lake Paranoá to take a postprandial rest. The food is pretty good, but the place is huge. Oh, and you can eat the hanging bananas for free. No colonial-era churches in this town. Instead, Brasília’s houses of worship fit right in with the modernist theme. You’ve already caught a glimpse of Niemeyer’s National Cathedral near the ministries, now it’s time for a visit to what must be the bluest church in the world, the Dom Bosco Sanctuary (SEPS, Quadra 702; 55-61-3223-6542; santuariodombosco.org.br), completed in 1970. Its 50-foot-high Gothic arches are filled in with 12 tones of blue stained glass, casting the interior (and its 2.75-ton chandelier and cedar cross) in haunting submarine tones. From there, continue south to the drastically more modest Igrejinha de Fátima (EQS 307/308; igrejinhadefatima.org), the city’s first church, also a Niemeyer special. Late-afternoon samba is a Saturday tradition in town, and while the bars that host it may not be much to look at, the cold beer, a warm crowd and a hot band render the soulless venues atmospherically irrelevant. The hottest place these days is Cadê Tereza (CLS 201, Bloco B, Loja 1; 55-61-3225-0555; cadeterezabar.com.br), named after a Jorge Ben Jor song whose title means “Where’s Tereza?” The likely answer to that question: If she didn’t get there early enough, she’s probably in line. Who knows if the new hot spot has staying power, so a safe backup is the longtime classic Calaf (SBS, Quadra 2, Bloco S; 55-61-3325-7408; calaf.com.br), which brings unexpected weekend life to the otherwise abandoned Southern Banking Sector. It sound ok, but in fact I don't know. Dress up and head to one of Brasília’s most elegant and unusual restaurants. Aquavit (SMLN, Trecho 12, Conjunto 1, Casa 5; 55-61-3369-2301; restauranteaquavit.com). There, the chef and owner Simon Lau Cederholm will greet you as if you were attending a dinner party at his house. And in fact, you are: the Denmark native opened the restaurant in his own home (which he designed; he’s also an architect) in 2005. The set menu is a mix of Danish cuisine, French technique and Brazilian ingredients. On a recent night the five course prix-fixe (192 reais, wine extra) included both a cold soup of cucumber with smoked salmon and a locally made cheese, which the chef whips and serves with cashew nuts and cashew fruit, an abundant crop in the region. I changed my mind and decided to give it a try. Excellent. I would dare to say that it would earn one star (or even two) in a Michelin guide of Brasília (if there was one). Oh, and remember to bring the address with you, because the house is nondescript from the outside. The idea of a true French patisserie on the bland commercial blocks in Brasília is almost as counterintuitive as having a McDonald’s on the Champs-Élysées in Paris. But they both exist. The superior of the two is Daniel Briand Pâtissier & Chocolatier (SCLN 104, Bloco A, Loja 26, 55-61-3326-1135; cafedanielbriand.com), a breakfast- and brunch-lover’s dream. Breakfast platters start at 24.90 reais. Or order their elegant pastries, buttery croissants with housemade jams, fresh-made quiches or varied pâtés à la carte. Well, it is just ok and overpriced. Bakeries in Brasil (and Brasília) are quite bad. The best baguette in town can be found at La Boulangerie. Head back to the Praça dos Três Poderes for a tour of the Planalto Palace, the work space of President Dilma Rousseff. 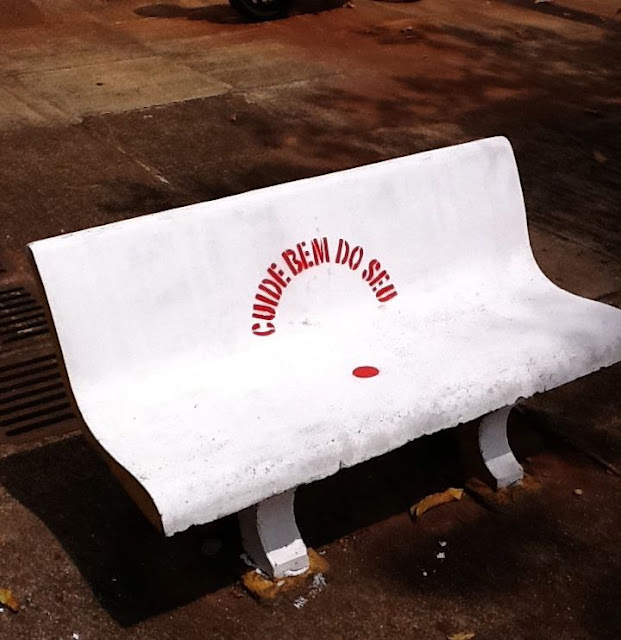 The public spaces are filled with Brazilian art and modernist furniture by the celebrated Brazilian designer Sérgio Rodrigues. But that’s not all: you can also see the room where the cabinet meets, and even peek into the president’s office. There’s barely a trace of poverty or even of the working class in Brasília. But that’s an illusion: the poorer residents of the Federal District live in “satellite cities,” dense clusters of high-rise apartment buildings that dot Brasília’s horizon. For a taste of life as it is really lived, head 30 minutes out of town to Ceilândia, where the central feira, or market (Avenida Hélio Prates between Via M Um and Via M Dois) hums Wednesday through Sunday. For about 7 reais, food stands offer huge plates of northeastern specialties — the real organs and bone marrow of it. Under the same roof you’ll find bakers, fruit sellers, discount clothing, tobacco salesmen and butchers. If Brasília is a modern Brazilian dream, Ceilândia is modern Brazilian reality. Feira de Ceilândia is nice, but I think that Feira do Guará offers a better experience. It is closer to Brasília (Plano Piloto) and there is a metro station nearby. Vila Planalto (portuguese), a stone's throw of Palácio do Planalto, is another unplanned neighborhood with northeastern restaurants. Further questions? Write a comment or reach me on Facebook. I am so sorry. Back in February I wrote about the sharp fall of the homicide rate in the state of Rio de Janeiro. Daniel Cerqueira, an IPEA economist , has just found out that the data is seriously flawed (in Portuguese). Check Graph 4.2. From 2006 on, there was a huge increase of violent deaths with "unknown causes" and the victims have demographic profiles strangely similar to the victims of homicides. True, homicide rates have fallen, but it was not as sharp as the official data shows. It seems that the 80's crisis hit the biological living standards of Brazilians. Shikida, Nogueról and I are writing an updated version of our paper using new data. The graph below show the heights of adult males by year of birth.